Work travel brings me to Jacksonville, Florida (again) this week. A full five days...at least it's not freezing here. Luckily, given the proper inspiration and functional hotel WiFi, blogging from the road isn't such a chore. Did you check it out? Wow...right? If that is your fly for the swap, I'm looking forward to getting my hands on one of them. How big is your traveling fly kit? I made one awhile back out of a Altoids tin for traveling and it goes with me any time I'm traveling. It most likely is the fly I contribute to the swap. I'm using a plastic pencil box to tote around my stuff, so I can bring a fair amount. For better or worse I guess it's good that hooks are small and feathers flat. You continue to be an inspiration to us all Mike! Traveling, and still be able to tie and blog. Inspiration might be strong, I'd just consider it an extension of having no life. Thanks for the compliment. I'll take it any way I can get it. Inspiration is just right, from where I am sitting Mike.. Awesome dad, and a blogger that comes up with regular content even while traveling, and are even tying some bugs while traveling too! Like I said, impressive and inspiring! 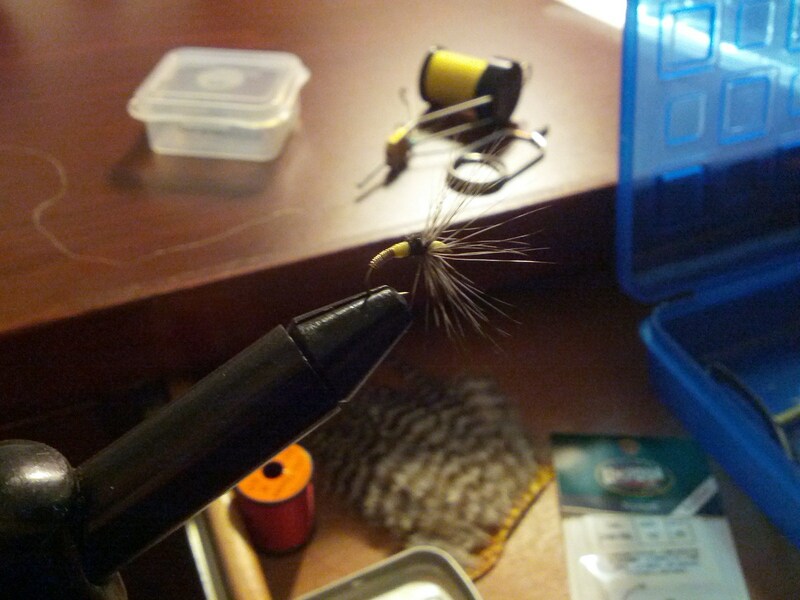 The only real reason I think I want a Tenkara rod is because the Kebari flies look so damn cool.